The Low-Down: Uber Lost $4.5 Billion in 2017. So How Come Investors Are Optimistic? Uber Lost $4.5 Billion in 2017. So How Come Investors Are Optimistic? The operating data suggest that new CEO Khosrowshahi may have stabilized the company, allowing it to find a path to profitability in this lifetime. Uber lost $1.1 billion in the fourth quarter of 2017—and that’s good news for the ride-hailing giant. According to financial documents obtained by tech industry site the Information, Uber’s fourth-quarter losses were actually down 26 percent from the third quarter. It’s a sign that CEO Dara Khosrowshahi, who arrived in September, has started to right the ship at the troubled start-up. Other positive signs for Uber investors: The company thinks its U.S.
marketshare has stabilized around 70 percent after falling from 82 percent amid a series of scandals last year. A lawsuit with Google’s Waymo has wrapped up with a settlement. And revenue nearly doubled from 2016 to 2017, from $20 billion to $37 billion. Operating expenses (for Uber, that means software programming, customer support, sales and marketing, research and development, and administrative functions) have stayed far below that massive revenue jump. In short, the company appears to be reaping the benefits from economies of scale. That makes a lot of sense, since its core product is an algorithm that costs virtually nothing to reproduce. The losses may be larger than ever, but they are shrinking as a percentage of gross revenue. The picture is even rosier for Uber if you consider the company’s adjusted “earnings before interest, taxes, depreciation and amortization” (or EBITDA), a standard financial accounting metric that excludes, for example, one-off legal expenses. Still, $4.5 billion is a lot of money for a company to lose in a year. The conventional wisdom has been that Uber is banking on one of three things to repair what appears to be a fundamentally flawed business model: autonomous vehicles that eliminate driver subsidies, a hike to monopoly pricing after driving out competitors (read: Lyft), or a huge boom in cheaper, bus-style service like Uber Pool. But Khosrowshahi says fully autonomous AVs are years away, at least at any scale. 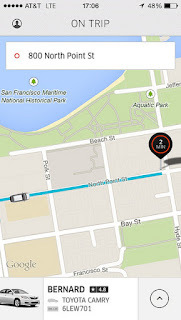 Fears of predatory pricing seem ill-founded given the replicability of Uber’s business model. And Uber Pool, despite its theoretic efficiency, loses more money than the company’s regular service (though, according to the Information, the company likes it because it brings in new customers). All this raises the increasingly likely possibility that we’ll look back on this era as a golden age of cab-riding, when Silicon Valley subsidized a million trips home from the bar. 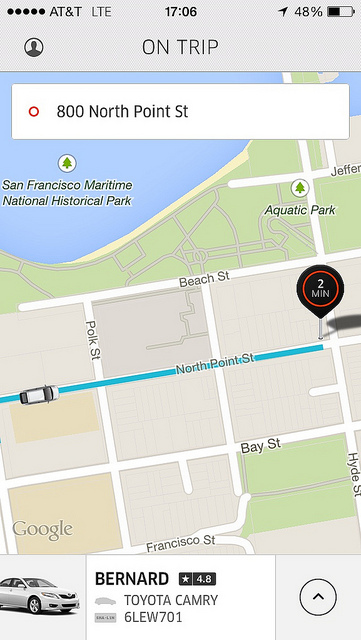 We may not be enjoying Ubers this cheap tomorrow. One number has been stubbornly stable between 2014 and 2017: the percentage of revenue that goes to driver payouts and rider subsidies. In Q4, it was at 80.5 percent—slightly above the Q3 figure. Maybe Khosrowshahi thinks that’s all right as long as continued expansion helps the company save elsewhere.